The plane had barely time to get properly cleaned by the ground crew before Pip and Tee started what was to be a week in Sin City. Sure they brought busy work in case there were any slow points…but thanks to Piper J. and Matthew J. Drake, that didn’t happen. 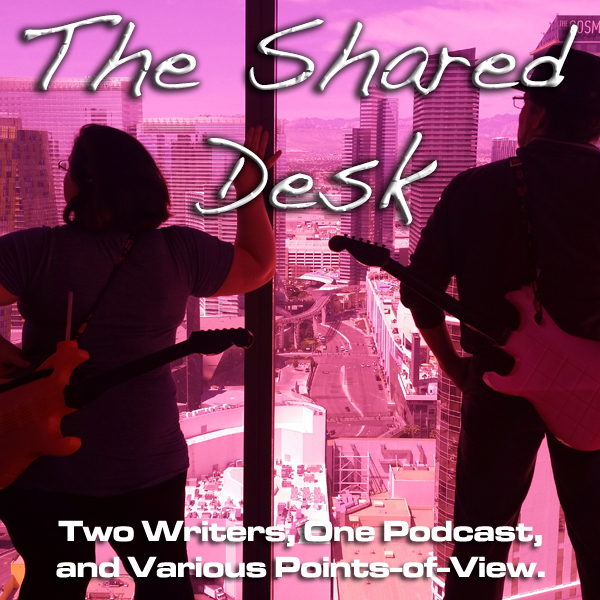 Strap yourself in—it’s a retrospective of RT 2016 on The Shared Desk! Tee is no Sammy Hagar. We were meeting up with Piper J. Drake and Matthew J. Drake! RT Booklovers Convention in 2016 — a brand, new experience! Piper J Drake invites us to her “Rocker-Stripper Hangout” at the Elara. Workshops a plenty for two days straight! Even Tee picked up a few new things during the workshop! Pip compares convention centers between 2015 and 2016. Day One…and thanks to a purchase from the Miracle Mile, Pip and Tee enter the convention LIKE MOTHERF–ING ROCKSTARS!!! “Vegas, baby!” — a phrase we used often. Pip Ballantine, always making new friends from Oz. 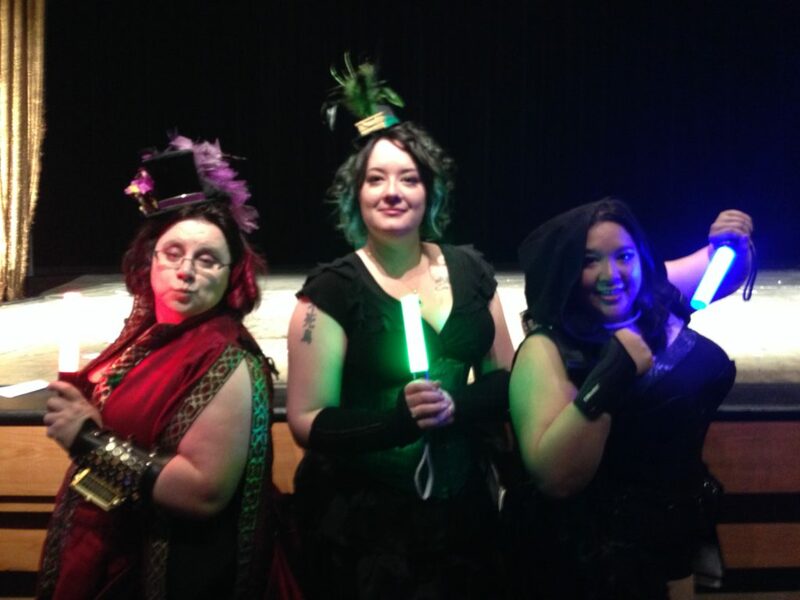 How an update to an app turned our “007 in a Corset: Spies & Steampunk” into The Tee & Pip Show. Readers Entertainment Magazine loved us. I mean, they loved us! We hooked up with Starla Huchton eventually and it became a mini-Smoky Writers Reunion! Later in the day, we hit the Social Media Fair…and we identify as the O.P.s (Original Podcasters) still rolling out the audio! Pip meets Hope McCurdy, the embodiment of the Iron Lily. So why was Tee getting attention during the day? The Intergalactic Bar & Grille, hosted by Linnea and PJ. 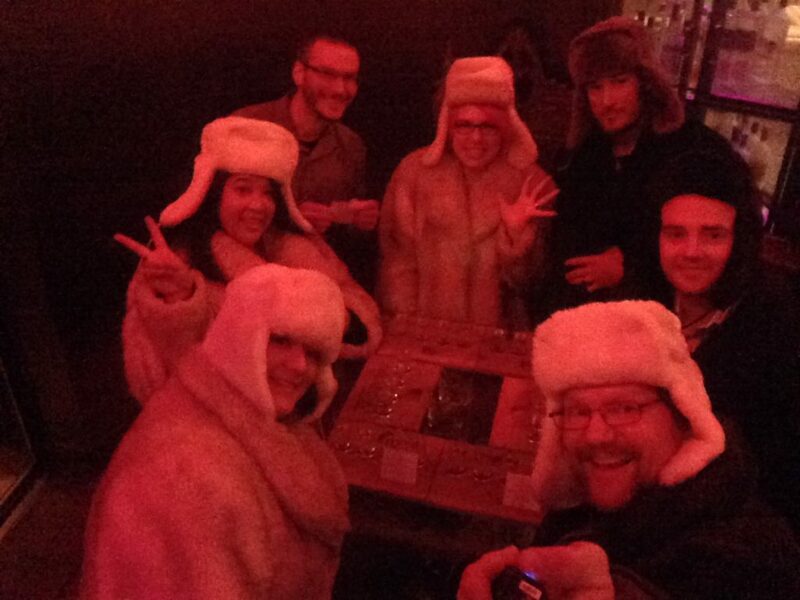 So — much — fun! This was a healthy-sized collection…and an exclusive! What an awesome experience! Really felt welcome! 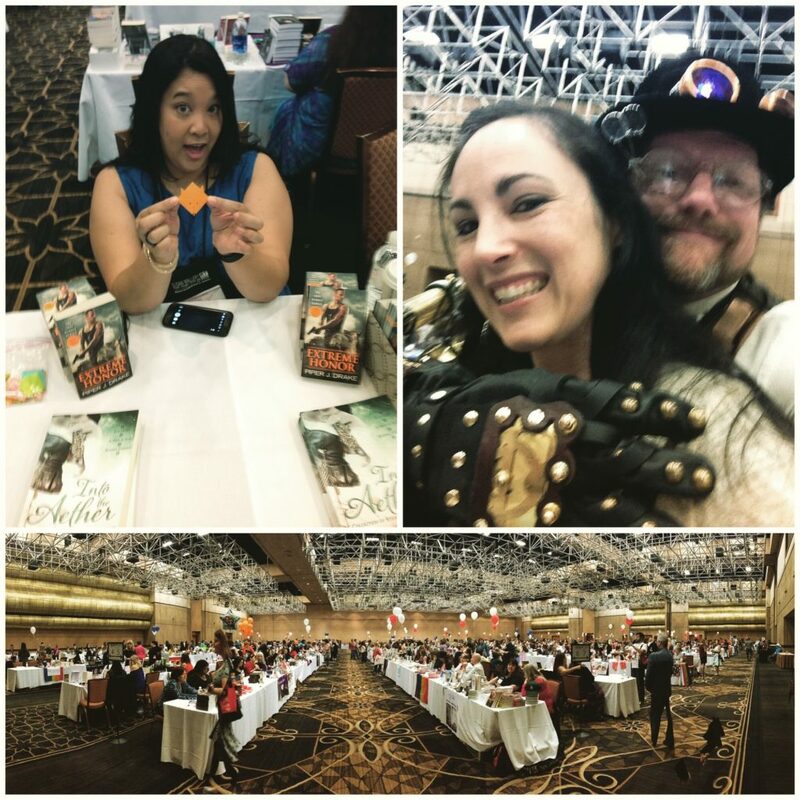 The RT Book Fair of 2016 — 600 authors, and a WHOLE LOT OF PEOPLE!!! Ended the RT experience with a trip to Mandalay Bay’s Red Square. The difference between infused vodka and straight vodka: delight versus rubbing alcohol. The hard lesson of Vegas: EVERYONE IS TRYING TO UPSELL YOU!!! But seriously, we loved Hash House a Go-Go! She’s working the Jersey Boys. 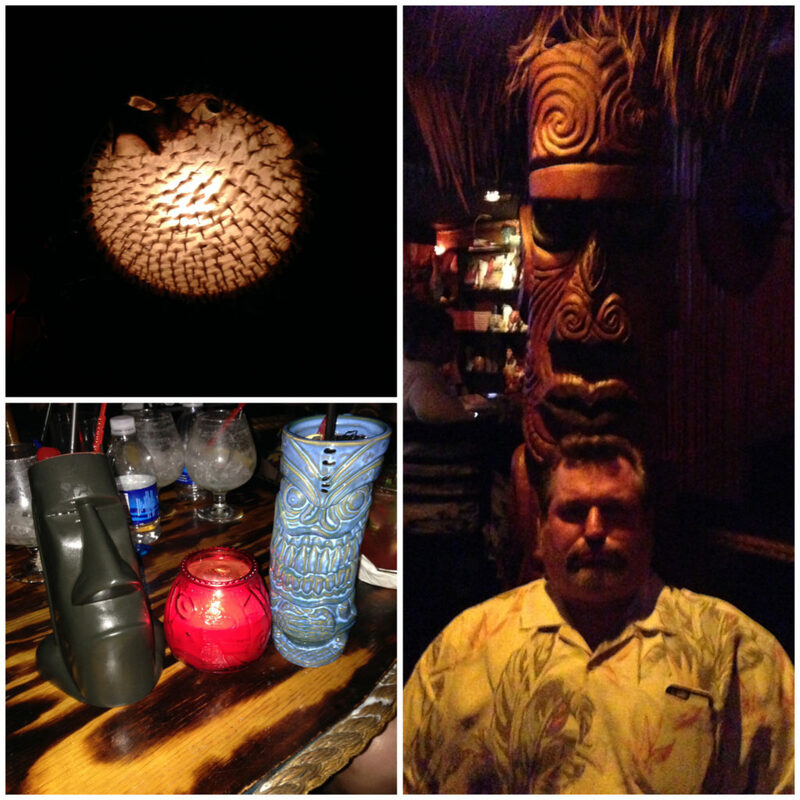 The Return to Frankie’s Tiki’s Room!!! Was it worth it? Oh hell yes! 45:54 — The Loot Crate Lookie-loo! Two shows in a row! Keep it up, everyone!!! A quick update from Hugh O’Donnell and his “Warboy” drive from Tennessee to New York. Doc Coleman asks about the decision process when picking and choosing conventions. Keep the voicemail coming in at 703.791.1701 or drop us an email, Subject line — FOR THE SHARED DESK! …and how about this? 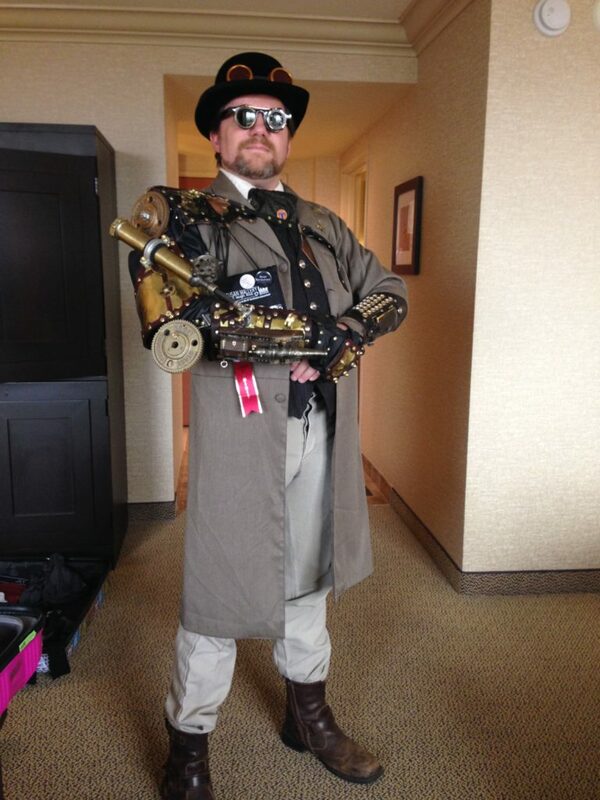 A Steampunk Museum in Hershey, PA!